To display a rear tool lathe in Axis, add BACK_TOOL_LATHE = 1 to your DISPLAY section in the ini file. 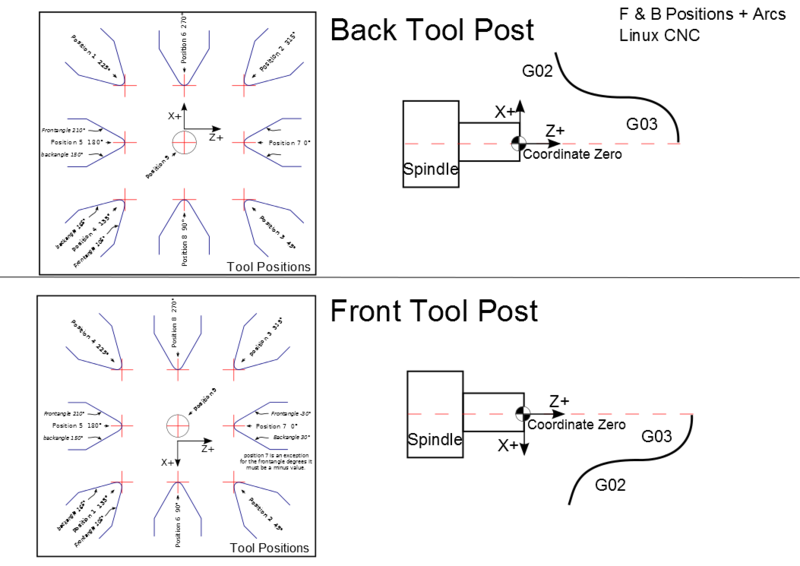 When Lathe was first implemented on LinuxCNC the tool orientations were implemented from a Fanuc diagram. 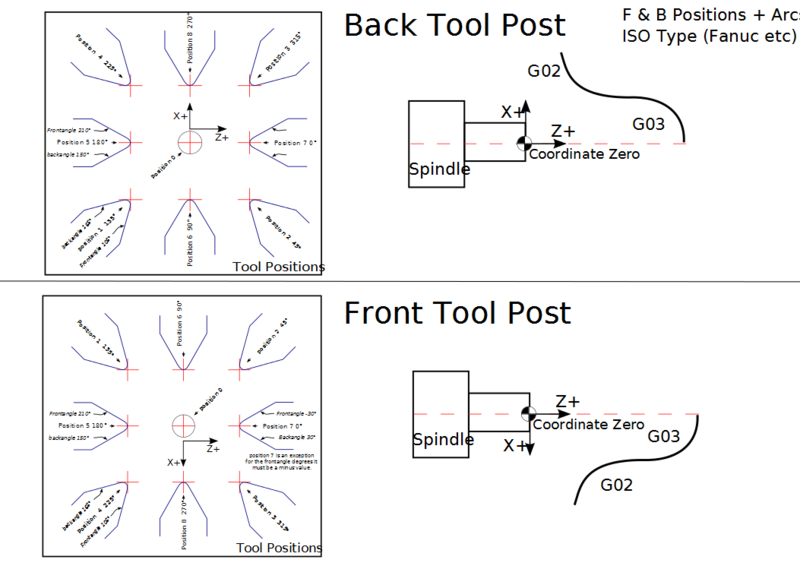 But it was not realised that the diagram was for a back-toolpost lathe. Unfortunately this means that the LinuxCNC orientations are mirrored relative to Fanuc (and most other lathes) This is unfortunate but hard to fix without breaking existing configs. As it only requires tool-table changes and has no effect on G-code it probably isn't a major issue. The above image shows how the LinuxCNC tools should be shown for current tool orientations (as of 2.5.x). The front tool displays are the current orientations, the Back/Rear tool post is what it should look like if implemented properly. Also shown are arc directions when programmed and back plotted. if LinuxCNC is ever to to be updated to follow Fanuc, Mitsubishi, Hass, or other larger industrial controls, the above is what should be implemented. Also shown are arc directions when programmed and back plotted.